Jockey Hector Rafael Diaz, Jr., bidding for his second career stakes win overall and first NYRA stakes victory, kept Frostie Anne in command coming out of the turn, where the 9-1 choice extended her lead over No Hayne No Gayne and cruised in the stretch, hitting the wire in 1:37.32 to notch her first win since the Saratoga Dew on Aug. 17. Frostie Anne, who is also trained by Rodriguez, is a Gold member of the NYRA Starter Loyalty program. 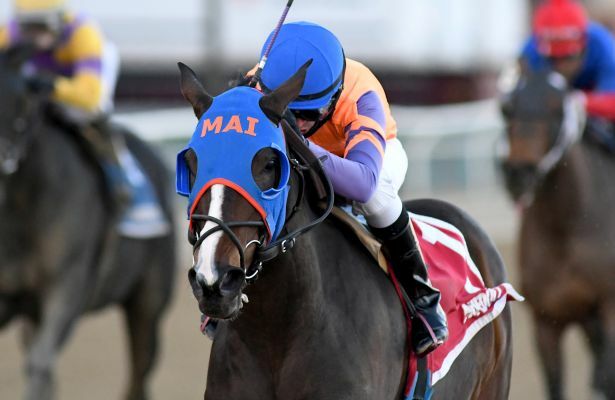 The 6-year-old Frost Giant mare, bred in New York by Mr. and Mrs. Grant L. Whitmer, returned $21.40 on a $2 win bet and improved her career earnings to $528,063. "She's always trained very good. We were just disappointed with her last couple of races," Rodriguez said. "I have to give all the credit to Hector. He's been breezing her in the mornings and he's really gotten to know her. I just told him not to fight her, to let her do what she's comfortable doing being up front, and everything worked out perfect for us today. We just have to keep going from here." "I had a perfect trip. She just went easy upfront," Diaz said. "She likes to be on the lead and Rudy had the blinkers on her today, which helped her stay focused. When I asked her for more, she did it easy." Live racing will return Friday at Aqueduct with an eight-race card. First post time is 12:50 p.m. ET.